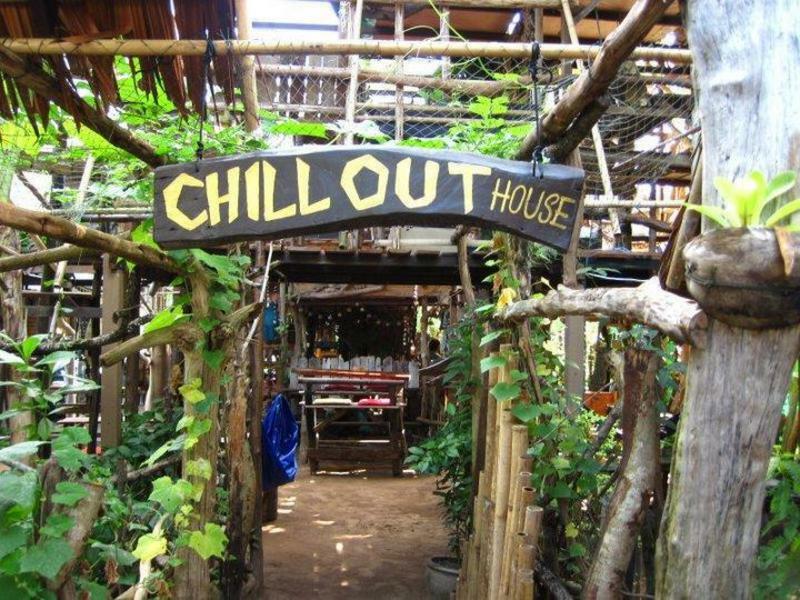 Come mingle with other like-minded backpackers and CHILL OUT with us. From Krabi or Trang stations, you can catch a minibus for between 200-300baht depending on which station and time of year. Once on the island, if your driver doesn't know us already, tell them you're staying on Long Beach near Funky Fish and O-zone- those are well known landmarks and the driver should know what dirt road to turn off. You'll see us about 100 meters down on the right- follow the driftwood signs. If your ride only takes you to town (Saladan), we're just 5k down south and you can get a tuk-tuk for around 50baht to our door. If you're on another island or the coast of Krabi, you have the option of arriving by boat. Boats only run during high season. From the pier in town (Saladan), you can take a tuk-tuk taxi the 5k journey for around 50baht. If your driver doesn't know us already, tell them you're staying on Long Beach near Funky Fish and O-zone- those are well known landmarks and the driver should know what dirt road to turn off. You'll see us about 100 meters down on the right- follow the driftwood signs.